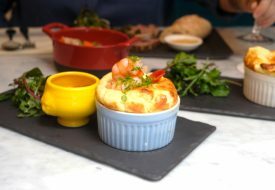 If you frequent Plaza Singapura, you might have noticed a modest soup and crepe kiosk at the basement leading up from the MRT. 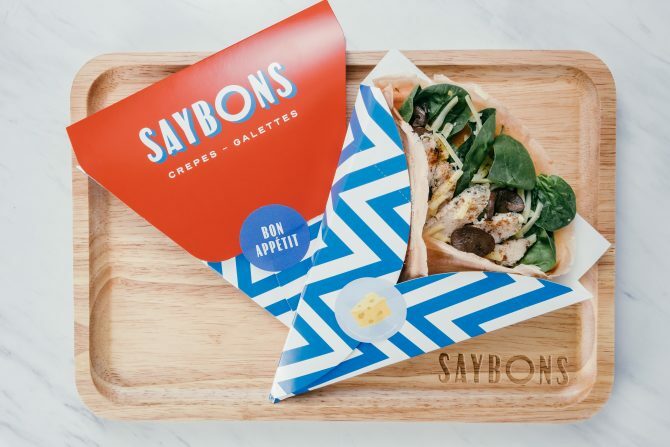 First launched in 2007, SAYBONS has come a long way (well, 10 years to be exact) in its quest to bring affordable and accessible French food to Singapore. 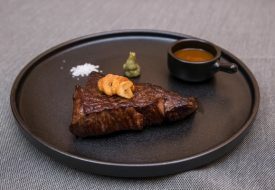 To celebrate its decade-long success, the French dining kiosk has not only updated its menu to include more savouries of soups, risottos and galettes, but also a slew of delectables from the 'SAYBONS 10th Anniversary Specials'. While cooked chicken breast may run the risk of being too dry and rubbery, SAYBONS avoid this fate by having the bird sous vide till tender. Filled with baby spinach, Gouda cheese and sunflower seeds, the breast is then wrapped up in a flour crêpe, tinted to a photogenic pink by natural beetroot juice. 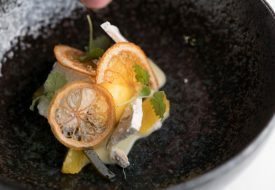 The yummy ingredients, such as the crunchy spinach and tender chicken, provided the wrap with varying textures which we gratifyingly chowed down till the last crumb.